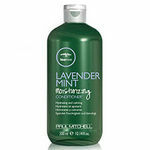 This herbal Essence Conditioner hydrates without the weight! I have fine, long hair that has to be washed every day. I tend to avoid any shampoos that claim to either hydrate or volumize. Hydrating hair products tend to leave my hair flat and greasy looking. Volumizing hair products tend to leave my hair frizzy and fly-away. So I was hesitant to even try this product, but since it claimed to be "featherweight" I figured I would give it a shot since it was on sale. I bought both the shampoo and conditioner, and really was unimpressed the first time that I used it. I gave it a second try though, and really have enjoyed it ever since. 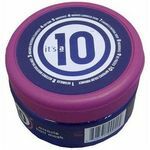 It smells really great and leaves my hair smooth with out weighing it down - exactly what I want! I gave it 4 stars because I still prefer the Dove brand Heat Defense shampoo/conditioner, but since I like to rotate hair care products, this is now my new second favorite! I have very coarse, long, curly hair and I tend to have issues with conditioner specific to curly hair as it weighs my hair down and/or makes it look greasy. I purchased this conditioner because it looked interesting and wanted to try something new. I was very pleased with it immediately! It moisturizes very well and smells delicious! My friend came to visit who is a licensed cosmotologist and also fell in love with this conditioner. She also has very coarse hair but it is straighter. She was laughing about the fact that she was now going to have to tell her clients that she doesn't use salon conditioner, but instead she uses Herbal Essences. I have found that I use less conditioner than I used to with my other brand and my hair smells fresh even after I straighten it which is unusual. I would recommend this shampoo to anyone! I think it would also work wonders on straight or thinner hair. I love this conditioner! I have very curly/frizzy hair that I usually straighten on a daily basis! My hair can get very dry and damaged so conditioning is an important step in my daily hair care. Finding the right conditioner can be very difficult, especially if you are on a budget. As a college student, money is very important. I clip coupons and search for deals. With Herbal Essences you get quality and value at the same time. This conditioner is affordable and works great by adding extra moisture and protecting against breakage. Fly aways are no longer a problem! Herbal Essences has a great reputation with hair products and this conditioner definitely upholds that reputation! Other conditioners leave my hair dry and damaged while this one leaves my hair feeling soft and smelling great! I would definitely recommend this product to anyone looking for a great conditioner no matter what kind of hair you have! Herbal Essences Hydralicious Featherweight Conditioner ! This condiioner is great, as a woman of color it works good on my color treated hair. it moisterizes and leaves my hair soft without having to keep it on my hair very long or without adding heat to my hair. i would recoment this to anyone who wants hair that feels soft and not dry. it is not expensive and doesnt weigh down my hair at all !